I recently picked up a Fitbit Flex from Best Buy earlier today. So far, I am enjoying the thing and attempting to test its accuracy. In general, it seems pretty accurate, but it definitely adds the occasional steps when sitting down or moving your arm. The software itself is great. It has a real-time mobile app that tracks activity and a web interface to match. Be aware, this will only sync with certain phones with Bluetooth 4.0. The list is pretty limited right now. If your phone isn’t compatible, you can always have it sync up to your computer with a bluetooth dongle. I also want to mention that you can set a silent alarm. 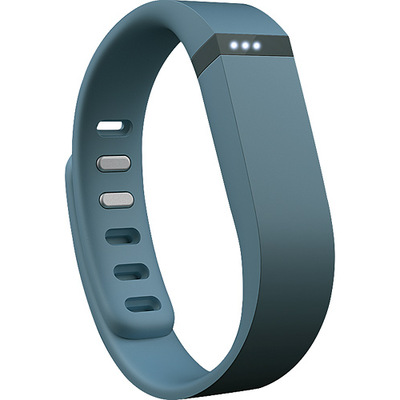 The Fitbit Flex will vibrate at the time you set. 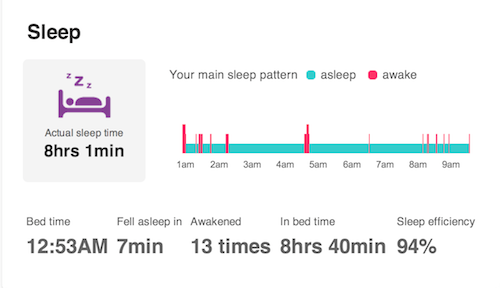 The sleep monitor is decent and shows when you were awake and asleep. It is not as detailed as other apps like Sleep Alarm on iOS. It appears to be very accurate from my use with it. The downsides? Well it doesn’t track stairs. 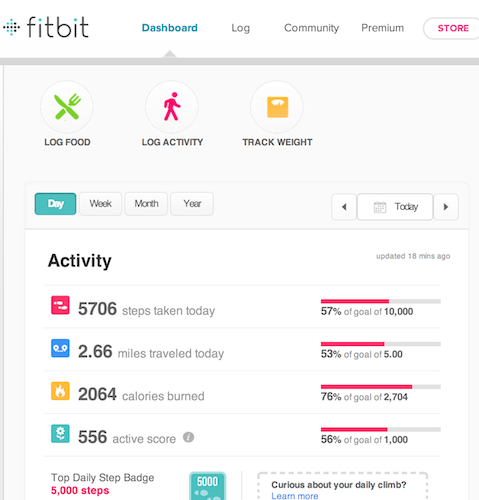 On the web interface it always shows “Curious about your daily claim?” but the Flex doesn’t track this while many other Fitbit models do.